We Indians simply love plastic things, especially the disposable plastic. In a typical house, after getting vegetable and fruits from the market, we keep those thin disposable plastic bags safe to use it for disposing of the waste of our houses. We find it very convenient to throw the kitchen waste if not dry in these disposable plastic bags. Out tiffin boxes always get the extra cover of disposable plastic bags so that our office bag is always safe from any gush that may come out from those tiffin boxes. We have learned N number f ways to use those disposable plastic bags. 1. Human bodies absorb chemicals added to plastics. Manufacturers add different chemicals while making plastic to increase it's age and flexibility. But those chemicals put an adverse effect on our health. 2. We already know that plastic becomes more harmful when it gets heated. The chemical that plastic containers release are probable carcinogens. 3. Do you know that plastic buried deep in landfills can seep harmful chemicals that get spread into groundwater? Also, as plastic takes years in getting permanently vanished, the plastic buried in landfills releases poisonous greenhouse gases, which gets absorbed in the atmosphere. 4. Animals also are getting affected by our heavy plastic usage. The plastic litter on the roads are killing animals. The plastic waste that gets thrown into rivers is also suffocating water creatures. Now, If I try to pen down the side effects of plastic, it might take a few blogs to cover them. So, I am leaving it here considering that most of us know and understand that plastic is a killer in today's time. 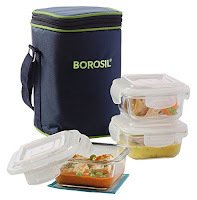 Although, we have the wisdom, still reasons for plastic being so popular are, because it is versatile, lightweight, moisture resistant, strong and relatively inexpensive. 1. Plastic tiffin boxes: Stop sending kids these plastic tiffin boxes. Rather, buy steel tiffin boxes from any local utensils shop and pack your kid's lunch safely in that. 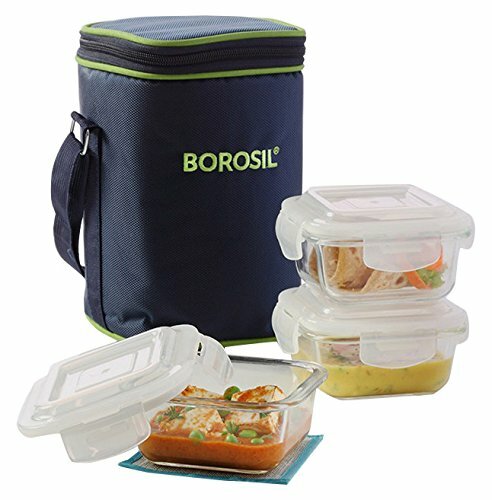 For office going people as they have high chances of heating the lunch in the microwave, stop immediately those plastic lunch boxes. Instead, buy glass lunch boxes. Then food can be safely heated in the microwave. 2. 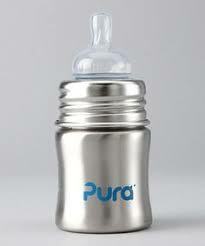 Plastic water bottles: Stop buying plastic water bottles for your kids. 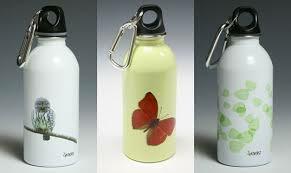 Buy metal water bottles which are now easily available in the market. For small kids as well, now sippy metal bottles and feeding bottles are available, so invest in buying them (they are a bit expensive as of now). 4. Use and throw options: The use of plastic spoons, glasses, and plates for small social gatherings is very common in our country. On one hand, it generates a huge amount of plastic waste which makes streets awful. And also, it is not at all healthy. So, either buy organic cutlery/plates/bowls or use our common steel cutlery and dinner sets. 5. Plastic shopping bags: As I said earlier also, we Indians love taking plastic bags for shopping. It's time to stop that. Use jute bags (the industry is dying a slow death), cloth and nylon bags. You can yourself stitch your shopping bags easily at home. It’s time to sit up, take notice and stop doing small things creating destruction in the environment and in our health. In long run, it can make plot better. Superb post Shipra. Plastics are really harmful for us. I have completely stopped using plastics in my kitchen. Very well said, Shipra! This is something that we all should be doing. Thanks for writing it down and sharing with all of us. Well said! It actually requires a major lifestyle change to get rid of all the plastic ridden things of everyday use from our environment . I'm guilty of a using plastics and have really been trying to embrace eco-friendly material. But some stuff really cannot be replaced and I'm struggling with those. Thanks for your inspiration. SO glad to read this post as an environmentally conscious person myself. I have completely eliminated plastic bags from my life. It was a tough one but its done finally. I am glad there is awareness created about plastic and plastic waste through this post. We have reduced our plastic usage and stick to eco friendly materials at home. the challenge is when you travel, but I am getting there too! Awesome post, I am also guilty of using so many plastic items in day to day use but thanks for this reminder post, I will start working on reducing the plastic materials from now on. Also thanks for sharing the replacement list.